Crystalaser, founded in 1995, located in Reno, Nevada, USA, is a leading manufacturer of ultra-compact diode-pumped solid-state crystal laser systems. Our lasers feature with high reliability, high stability, high efficiency, low noise and excellent laser beam quality. 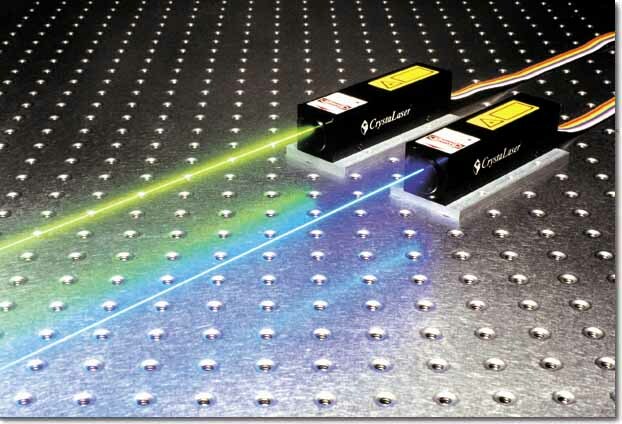 These lasers are specifically designed for OEM, scientific and industrial use. A complete catalogue of Crystalaser's DPSS lasers is available for download here .